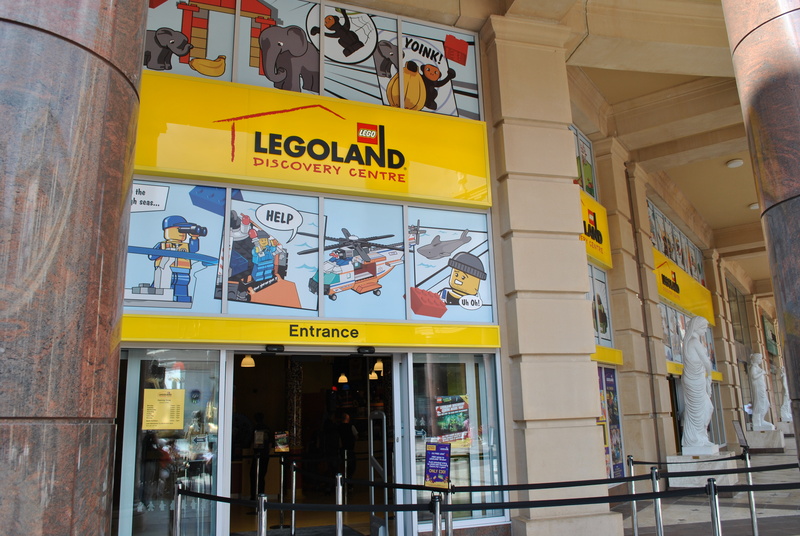 Families in Greater Manchester are well served when it comes to the number of attractions that accept the card, with huge savings at the Sealife Centre, Legoland, trampoline parks and more. If you’re in the area and looking for a family day out, here are 17 FREE and heavily discounted days out in Greater Manchester with a Max Card. All the offers below are at least 20% off the usual admission price. Check out Max Card’s website for more details. At the Old Trafford Museum & Tour Centre you can see the stadium through the eyes of Manchester United greats themselves. 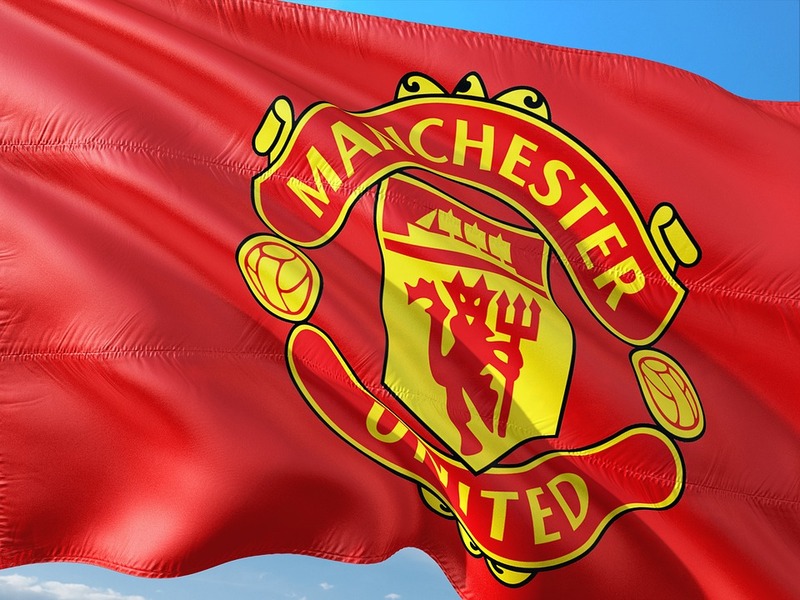 Or get even closer to the world of Manchester United and share 130 years of football in the Museum. Offer: One child goes FREE per full paying adult. Offer valid for up to two children and two adults per card. Three mashed up 9-hole crazy golf courses created from pre-loved and reclaimed random junk. Groups can putt their way through all sorts of bizarre holes; think UV garage, scrapyard slides, circus freaks and jungle bathtubs. Offer: 2 for 1 offer for children and adults. Choose from two new courses: Freida – In Da Club or Pablo – Polluted Paradise. Offer valid for a maximum of 4 people. Offer is not redeemable on Friday and Saturday. Offer is not redeemable after 7pm on weekdays. Accessibility: Due to the nature of the courses, some of the holes may not be accessible for wheelchair users. This play centre includes a cafe serving healthy food with a choice of hot and cold drinks and a Gokart track for its electric Go-Karts. The centre also has a huge three tier play structure (including a giant four lane slide, a ball pool and many more obstacles) and a sensory room for children with individual needs. This facility can also be used by mums with young babies to interact with the sensory equipment. Offer: £1.00 off entry plus adults for FREE. Maximum of 1 child per Max Card. Breakout is an interactive live escape game where teams of 2-5 people get locked in a room full of puzzles and clues and have 60 minutes to work out their escape. With different difficulty levels and story lines, Breakout is an entertaining challenge for everyone. In Manchester there are 12 rooms to chose between so there really is something for all. 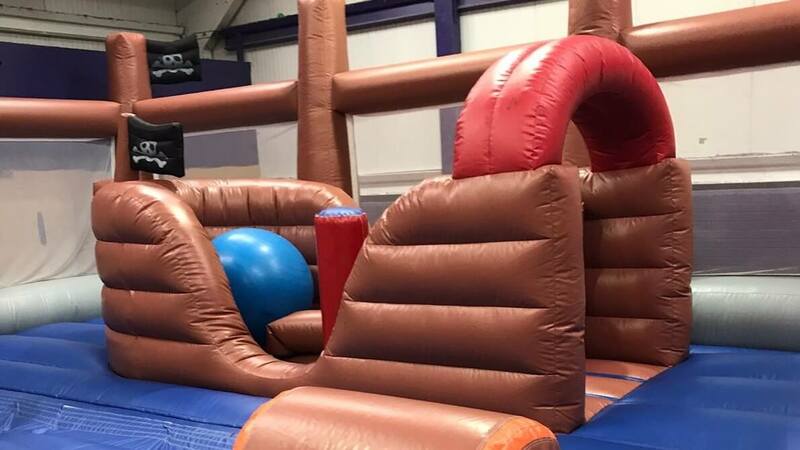 Launch yourself into giant foam pit and airbags, freestyle in the main arena, smash a game of dodge ball with your mates, shoot a few basketball hoops or get trampo-lean with an Go Air-obic fitness class. Offer: 20% off (this offer is only valid Monday-Friday). Use the Max Card website to pre-book tickets. With a range of burgers from Peanut Butter and Bacon to the Junior Fish Finger Classic, there is something for everyone at this restaurant. Access Information: Fully wheelchair accessible. Offer: 52% off. Use the Max Card website to pre-book tickets. Oxygen Freejumping is over 120 connected trampolines of high-flying family fun! 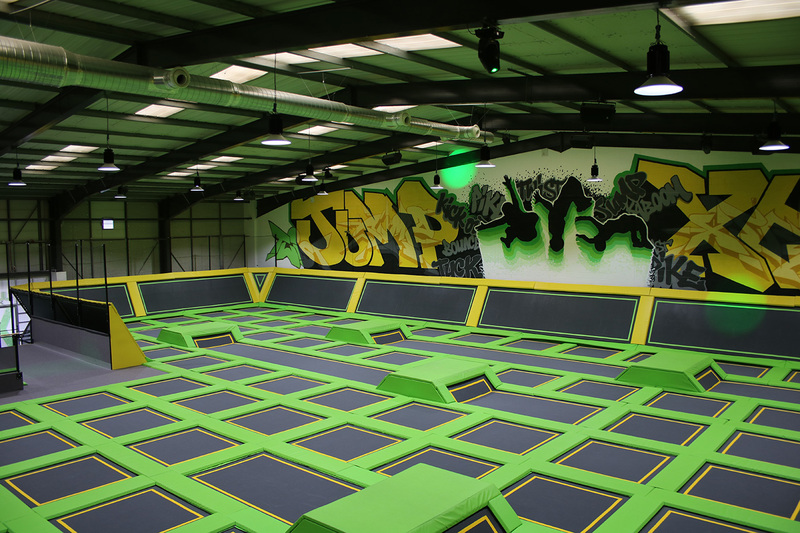 Unlike other trampoline parks, Oxygen parks are fitted with exhilarating airborne zones from professional trampolines and airbags to obstacle courses and dodgeball. All our parks have comfy cafes serving excellent coffee and delicious snacks, not to mention wifi and panoramic views of the park, so a day at Oxygen really is something everyone can enjoy under the same roof. Oxygen Freejumping might just become your no.1 activity for the whole family! Play Factore, ideally located next to the Intu Trafford Centre, hosts the largest play frame in Europe along with other attractions including go-karts, laser-tag, zip-wire ride and an interactive dance area. Play Factore also boasts an amazing Italian Coffee shop and pizzeria which provides fresh and healthy food. Offer: One adult goes free with a full paying child. SEA LIFE is the world’s biggest aquarium chain with more than 40 attractions across the world. Every centre opens a window into the magical world beneath our seas and offers close encounters for all ages with everything from humble shrimps and starfish to seahorses, sharks and stingrays. SEA LIFE provides a fascinating insight into the wealth and diversity of marine life, plays an active role in conservation and inspires others to lend their support too. Offer: 52% off. Tickets must be pre booked 24 hours in advance via the Max Card website. Access Information: Wheelchair access & disabled toilets. Choose from over 2,000 experience days. Offer: 20% off all Virgin Experience Days. Pre booking is essential. Follow this special link to view all of the experiences that you can enjoy with your Max Card. All experiences via the link have been pre discounted by 20%. If you would prefer to speak to an adviser please call 0844 504 0844, and they will help you on your way to finding the perfect gift. Nationwide Paintball Stockport is located in a large 30,000 sq ft purpose built indoor urban jungle, allowing visitors to sample city style game play in an indoor arena on their doorstep. Offer: 50% off bookings. Pre booking is essential. Use discount code “MAX50” when booking tickets online or on the phone. Jump Space is a unique Rebound Therapy Trampolining and Sensory Play centre providing activity sessions for children young people and adults with any disability. There is a large trampoline area, lead by qualified coaches, soft play including ball pool, swing, slide climbing frame and sensory room. Offer: FREE trial. Enter your Max Card details to view the discount and pre book your tickets. Please note a credit/debit card will be required at the time of booking. All bookings must be made at least 24 hours in advance via the booking line provided. Accessibility: Track hoists over the ball pool, sensory room and accessible toilet with a mobile hoist available to access the trampolines. Brooklyn is a special ceramic painting studio situated in Shaw Heath, Stockport. Enjoy a cup of tea or indulge yourself with one of our fabulous cakes and a delicious Illy coffee. Offer: Half price studio fees. Maximum of two adults and two children per card. Jingles, Move with Peppa and sports with superstars. 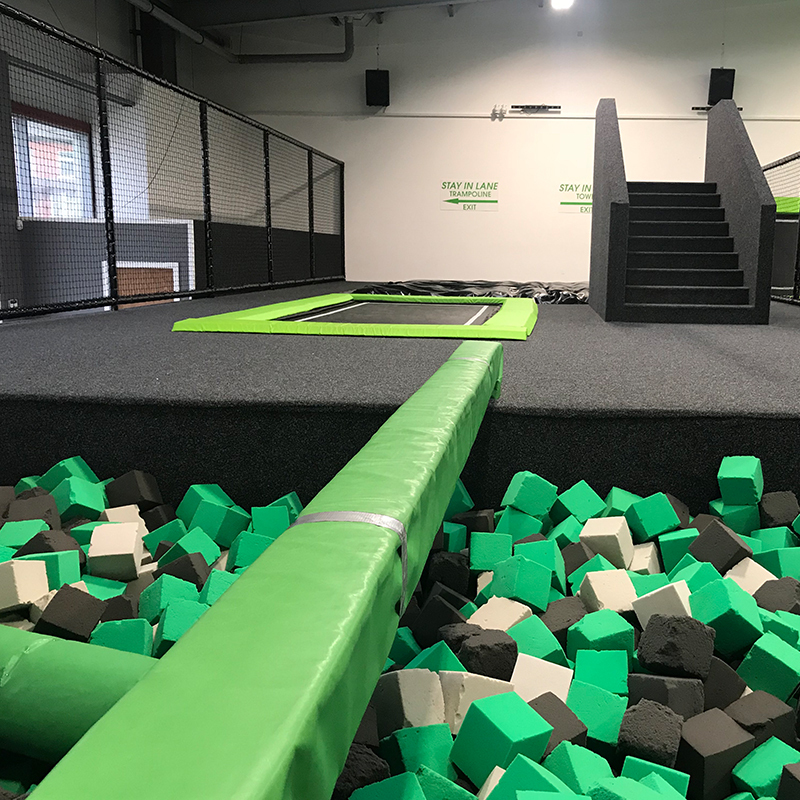 Bounce between over 50 trampolines, and bounce off the walls, roll or leap over the roll over platform and practice your tricks on the huge airbag. Shoot extreme hoops, from the run up trampolines or challenge a friend to the ultimate challenge on the reaction boards. Offer: 44% discount. (Orginal price £9) card holders therefore pay £5 plus socks which are £1.50. Under fives must accompanied by a full paying adult. Maximum of 5 persons per booking. Nationwide Paintball Manchester Paintball Arena in Oldham is the largest indoor paintball site in the North West. It offers all the advantages of a large outdoor playing area but in a safe, warm, dry environment and best of all, no mud. The park has a range of features that will keep the whole family entertained including over 100 interconnected trampolines, stunt tower, xtreme airbag, slam dunk basketball lanes, volleyball & dodgeball courts. Offer: 20% off one hour FreeJump and Bounceibility Sessions. Use the Max Card website to pre-book tickets.